Are you planning on spending Mother's Day in San Francisco this year? 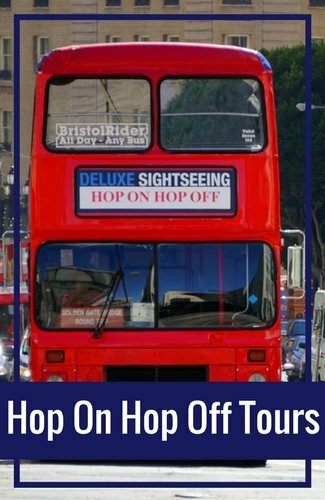 Here you will discover some top places for brunch, theater performances, cruises, where to take your mom shopping and other ideas to make the day extra special. This year, Mother's Day falls on Sunday, May 12, 2019. You will find dozens of great places to take your mom to brunch on Mother's Day in San Francisco. Some of my favorites include Mama's in North Beach, Dottie's True Blue Cafe near Union Square and Brenda's French Soul Food near the Civic Center District. You can also find more elegant options such as the Cliff House or the Palace Hotel. Find a list of my top recommendations and book your table today! Here are some other fun things to do for Mothers Day in San Francisco. Is your mom a baseball lover? If so, take her to a game at our gorgeous baseball stadium, Oracle Park (formerly AT&T Park). On Mother's Day in San Francisco, the SF Giants will host the Cincinnati Reds. The first pitch is at 1:05pm. 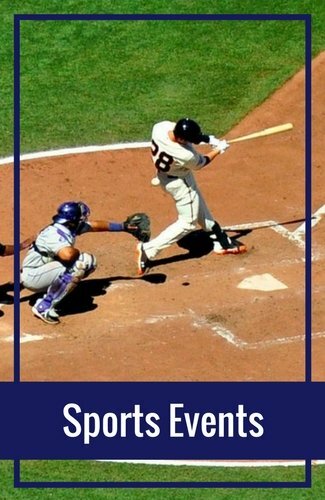 Find tickets to this game and others in this series below. Head over to the Orpheum Theatre on Mother's Day to see the blockbuster hit musical, Hamilton. This Broadway smash is all about the life and death of Alexander Hamilton, one of the founding father's of the US. There is one performance on Mother's Day at 1pm. Make sure to get your tickets early as these are selling quickly. Another fun Broadway show on stage this Mother's Day in San Francisco is Charlie and the Chocolate Factory. Based on the book by Roald Dahl, it's the classic tale of what happens when Charlie opens the doors to his chocolate factory for a few select kids who find a golden ticket. This is a great one for the family and is recommended for those 6 and older (under 5 are not admitted). Enjoy a pleasant evening of music at Davies Symphony Hall. Starting at 7pm on Mother's Day in San Francisco, you can hear the sounds of Joshua Bell, Steven Isserlis and Jeremy Denk. These three music partners have been playing together for more than 30 years and it would be a treat for all moms on their special day. 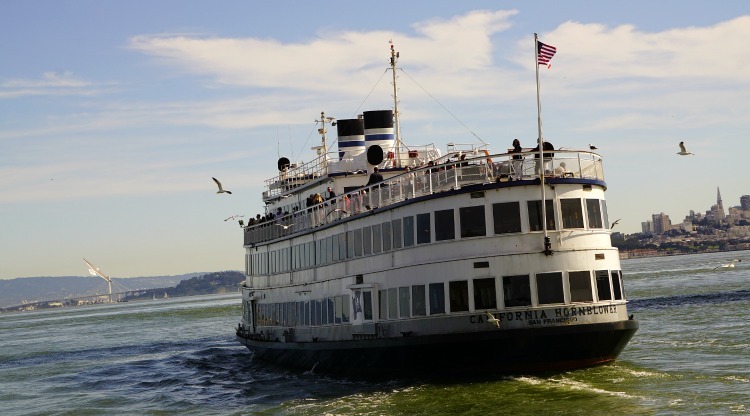 Hop aboard a Red & White Fleet ferry for a 60-minute ride around the SF Bay. 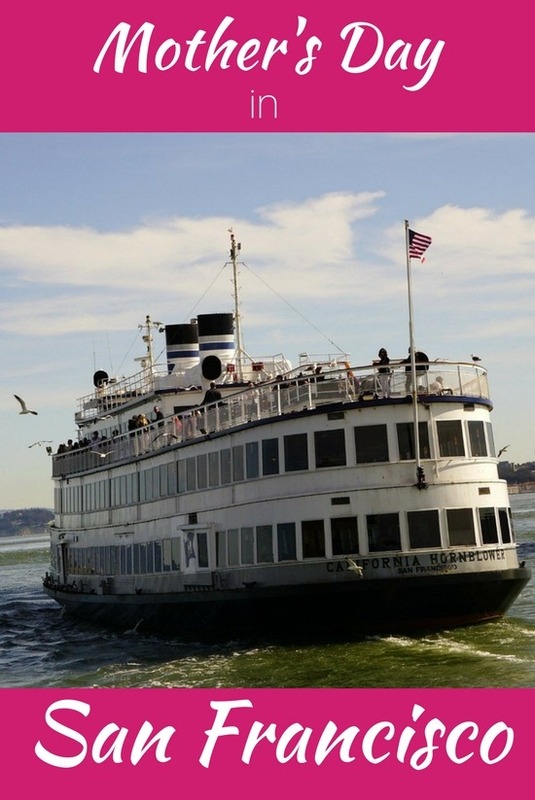 This cruise offers wonderful view of the San Francisco skyline, Alcatraz Island, and the Palace of Fine Arts. You also ride under the Golden Gate Bridge, twice! It's a fun way to spoil your mom this Mother's Day Weekend. Cruises run all day between 10am and 5pm. Are you looking for something a little different? How about celebrating Mother's Day as you cruise through Golden Gate Park on a Segway. This 2.5 hour tour takes you past many of the key attractions on the eastern side of the park. You'll learn about the park's history, interesting gardens and beautiful museums. You'll also start with a great training session to make sure you are comfortable with your Segway before you get started. Every Sunday, the SF Public Library offers a number of free walking tours around the city. They range from a stroll across the Golden Gate Bridge to a look inside the famous Haight Ashbury District. All last around 2 hours and all are given by local experts. 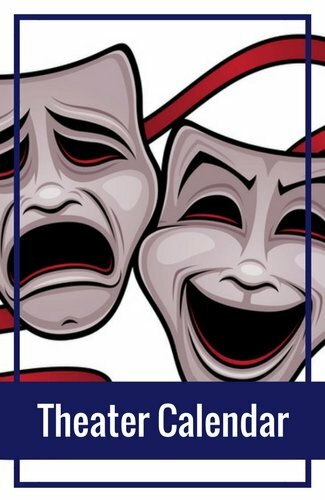 You will also find quite a few comedy shows scheduled for Mother's Day in San Francisco. One of the most popular is Beach Blanket Babylon. Every Sunday, there are two shows. Both shows are now family-friendly where no alcohol is served and the routine is cleaned up for kids. They run at 2pm and 5pm. Shopping on Mother's Day is always a hit in my family and the city has several shopping options. You can either head down to Fisherman's Wharf for shopping or find bargains in Chinatown. The picture below shows the boardwalk on Pier 39 (from above) where you will find dozens of fun places to buy goodies. Chinatown: I love heading over to Chinatown to go shopping. You can find a number of bargains here from luggage to clothing. 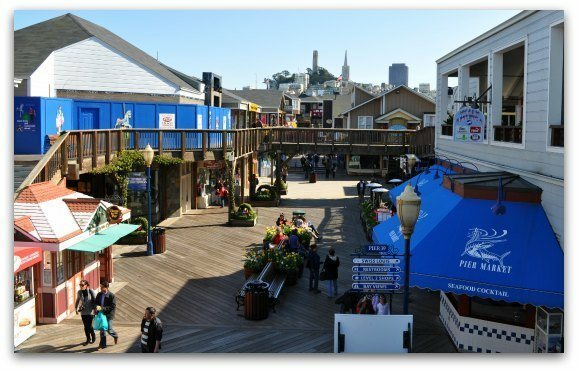 Pier 39: This is one of the most popular shopping spots for visitors. The pier is right along the water, making it a beautiful and fun place to hang out. You can do a little shopping, stop for some wine tasting or even grab some lunch. Ghirardelli Square: This is another popular shopping area. It's smaller than Pier 39, but offers at least a dozen specialty shops from gifts to Kara's cupcakes. Union Square: The Union Square area has a number of high end shops including Louis Vuitton, Tiffany's and Saks Fifth Avenue. You will also find other shops including a five story Macy's, Victoria's Secret and Nike. Mother's Day is a popular day for visitors in San Francisco. Many of the largest attractions, such as the California Academy of Sciences, are busy and crowded. If you don't want to battle the crowds, here are a few recommendations I think you will enjoy. They are popular, but are more spread out so don't seem to get as crowded as other San Francisco attractions. 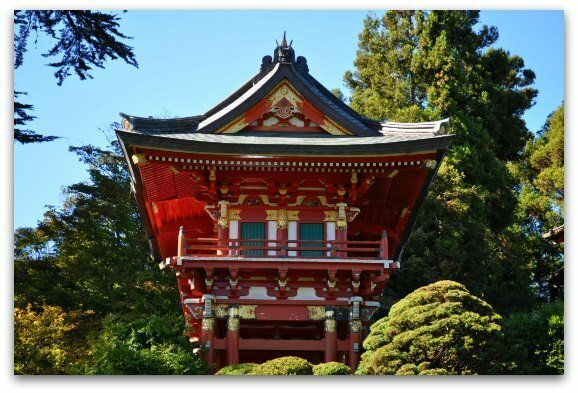 Japanese Tea Garden: The Japanese Tea Garden is a gorgeous traditional garden. It's serene and also has a number of beautiful structures. Botanical Gardens: Spring is my favorite time to visit the Botanical Gardens in Golden Gate Park. You will find thousands of plants from around the world and it's very colorful this time of year. Mission Murals: Strolling the Mission Murals is another way to spend Mothers Day in San Francisco away from the crowds. 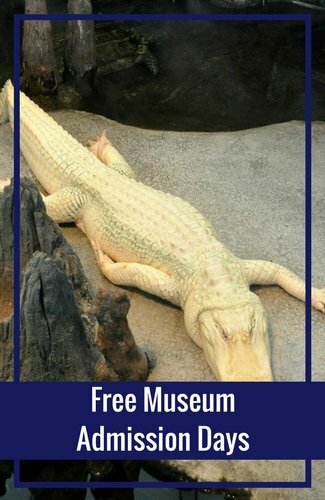 All of them are free and you can walk around at your leisure. You can also grab a sack lunch and hang out in Dolores Park either before or after you visit the murals. Legion of Honor: The Legion of Honor is one of my favorite SF Museums. It's a little further out, so usually doesn't get as crowded as some of the other museums. If you walk toward the water, you can also get some amazing views of the SF Bay and the Golden Gate Bridge. Their cafe is expensive, but has amazing food. 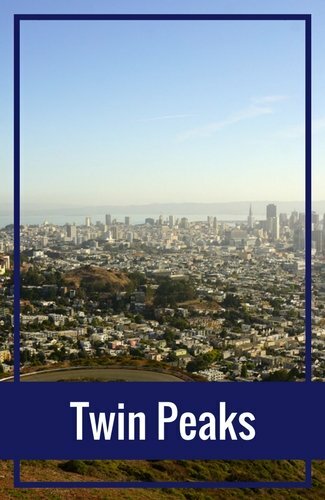 Alamo Square & the Painted Ladies: Another idea for Mothers Day in San Francisco is to grab a picnic lunch and head to Alamo Square. It's a gorgeous park with views of "Postcard Row" and downtown San Francisco. After lunch, spend some time walking around the neighborhood enjoying the Painted Ladies - the official name for the colorfully painted Victorians throughout the neighborhood. 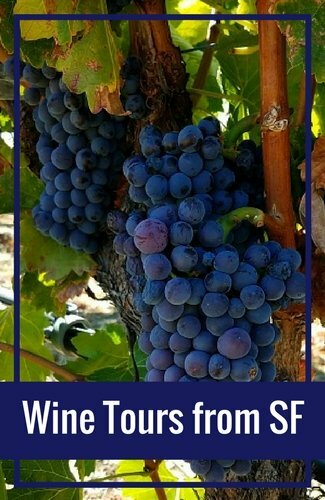 Hidden Attractions: If this isn't your first time to San Francisco, you might enjoy exploring some of these fun hidden gems with your mom this Mother's Day in San Francisco. Discover an old church converted into a Buddhist temple, explore our neoclassical Columbarium, or admire some of our mosaic staircases. Are you looking at spending the weekend in SF with your mom? If so, I recommend staying either in Fisherman's Wharf or the Union Square areas. Both are near the action and the one you select will depend on what you have planned during your stay. Fisherman's Wharf is perfect for those planning on spending a lot of time down by the water. 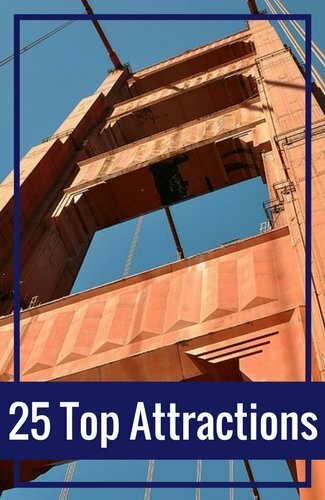 If you want to shop along Pier 39, visit the great museums in this district or go on an Alcatraz tour, then Fisherman's Wharf is right for you. Click here for details on my favorite hotels in this district. If your trip is more focused on activities in other parts of the city, the I recommend Union Square. This is perfect for those visiting a variety of districts as it is centrally located and it will take you less time to get from place to place. Click here for my favorite places to stay in Union Square. Are you looking for the best hotel deals this weekend? If so, then check out all the hotels deals on TripAdvisor. Specials at hotels this weekend include free parking, free WiFi or even a percent off your room for a specific night or your entire stay. Click here for a current list of deals on TripAdvisor.com. How can I help you plan the perfect Mother's Day in San Francisco?